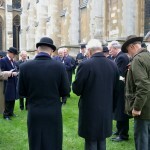 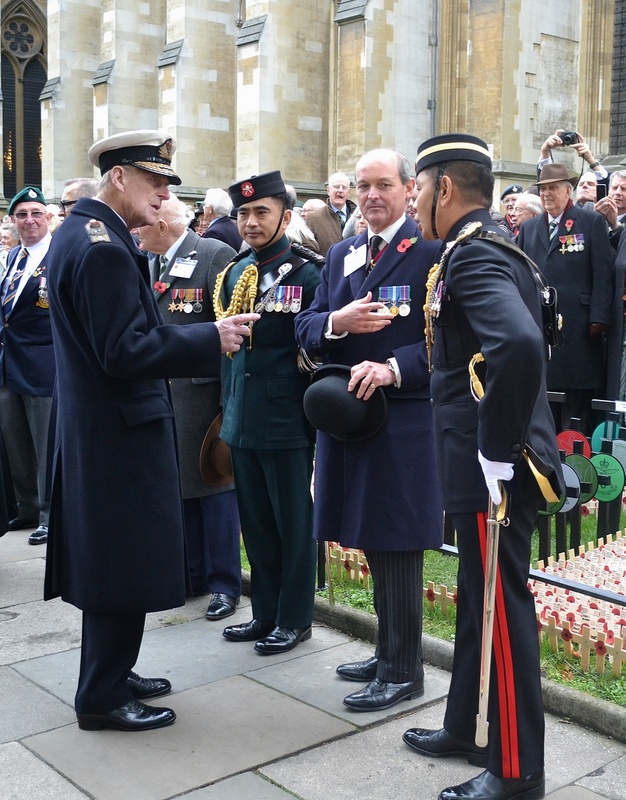 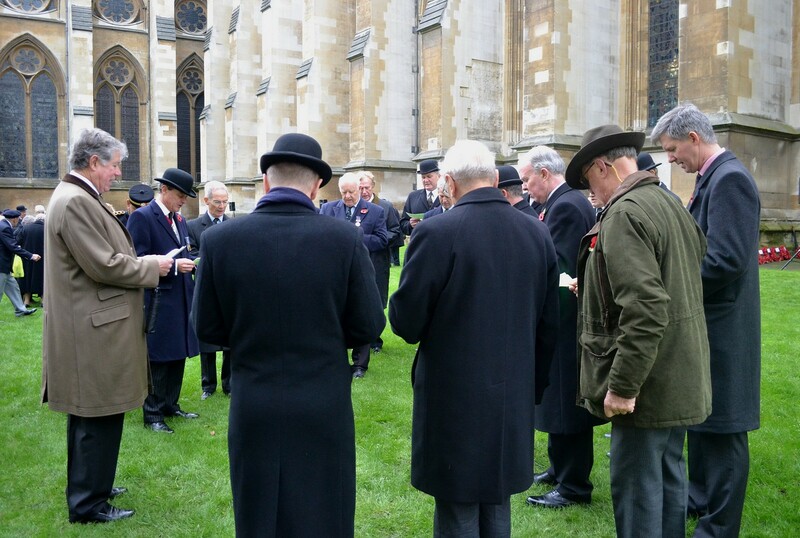 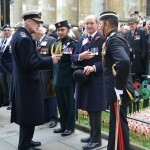 The President of the GBA, Lt Gen Sir David Bill KCB led the Gurkha Brigade and Gurkha Regimental and Corps Associations in laying out the Gurkha Brigade Plot (Plot 77) at the Field or Remembrance Ceremony outside Westminster Abbey. 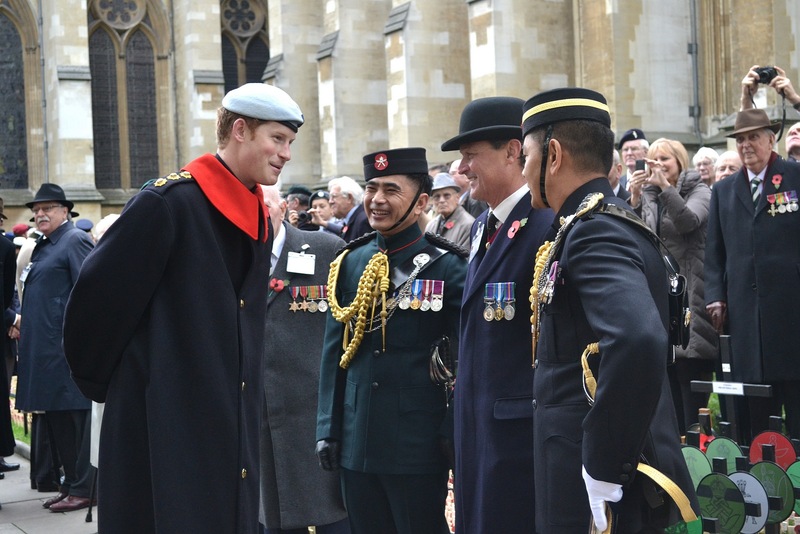 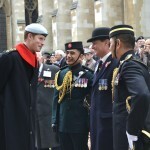 His Royal Highness The Duke of Edinburgh followed by Prince Harry, both stopped in front of the GBA Plot where they were greeted by Lt Gen Sir David Bill flanked by the two QGOOs, Capt Kumar Gurung and Capt Sureshkumar Thapa, to review the GBA plot. 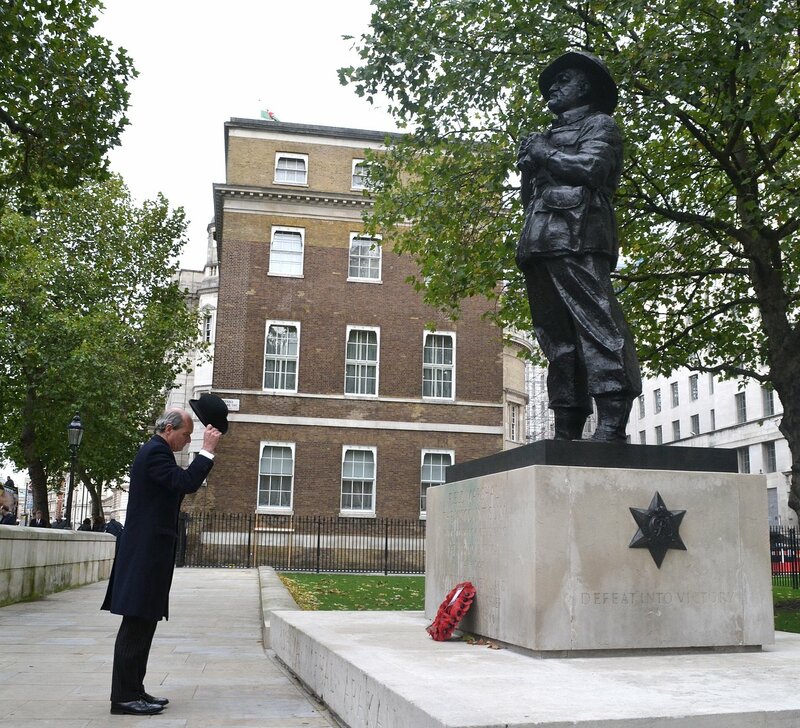 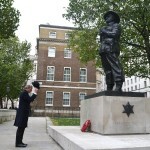 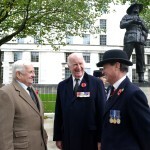 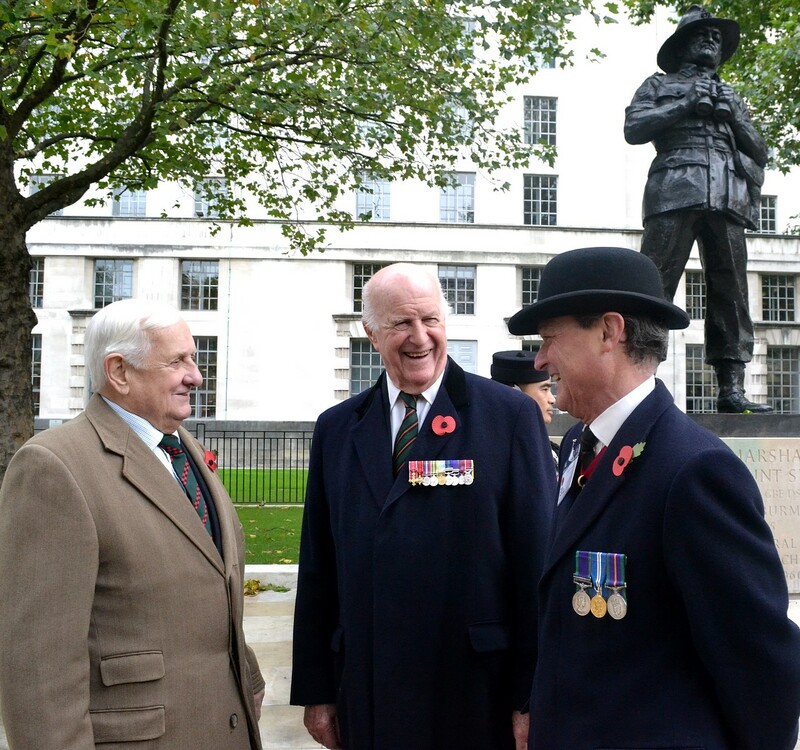 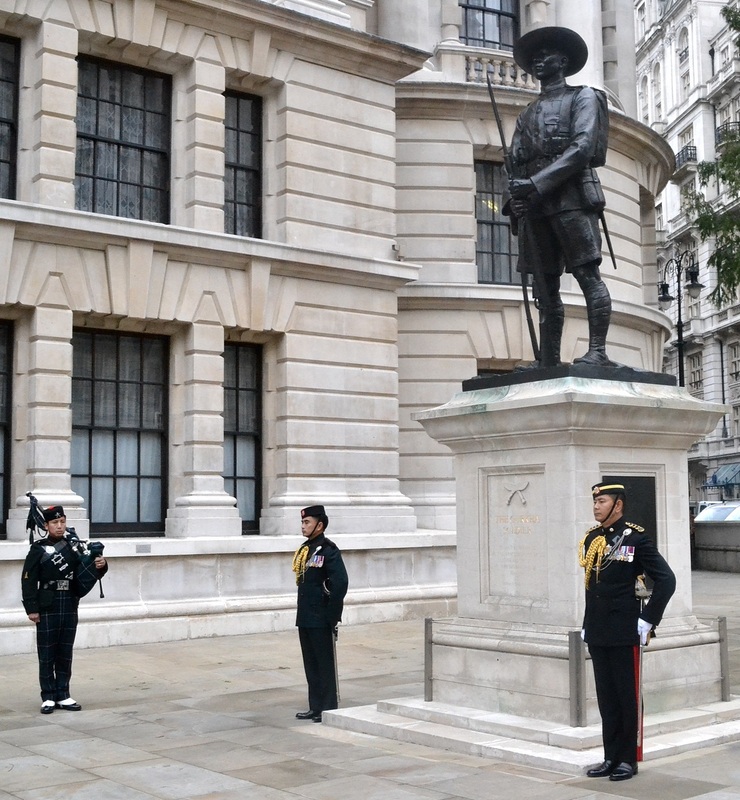 After the Field of Remembrance Ceremony, the GBA contingent moved to Field Marshal Viscount Slim’s statue on Whitehall where his son Viscount Slim and Chairman GBA, Brigadier John Anderson laid the GBA and 6GR wreaths respectively. 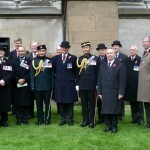 After that they moved to the Gurkha Statue located on Horse Guards Parade where, after a short Prayer to the Gurkha, the Brigade and Regimental and Corps Association wreaths were laid to commemorate all to those who served with the Gurkha Brigade and Brigade of Gurkhas, who laid down their lives in the service of the Crown. Following the laying of the wreaths a lone piper from 2RGR played a lament that concluded our short but moving ceremony.